Ibrox Noise: "Daring to dream" - are we ready? "Daring to dream" - are we ready? When we look at the stats for this season, we can’t say it’s especially amazing. 15 wins of 29, and 8 of 13 overall in the league. It’s certainly far from terrible, and some could argue it’s a gradual improvement from the days of Warburton, Murty and Pedro, but stunning it is not. The goals against column is solid, more than, and Rangers are by a clear distance top scorers in the league. But overall that win rate is perhaps not as spectacular as it could be, and despite all this? 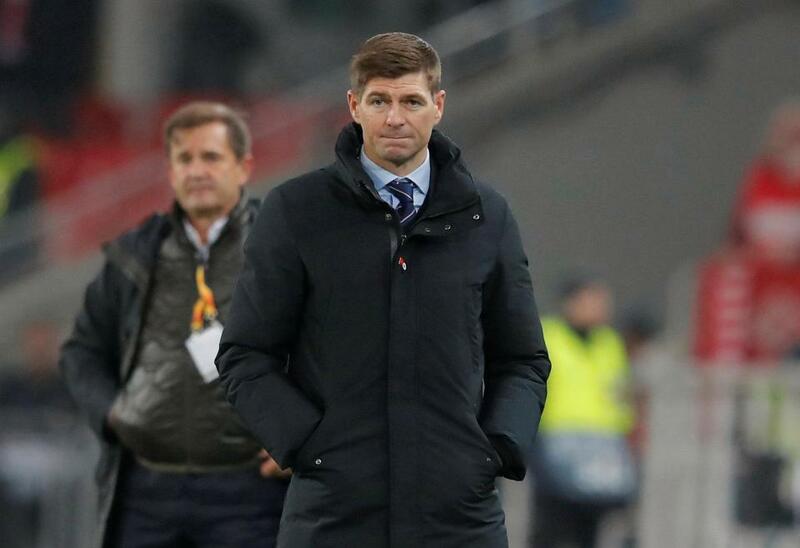 Rangers are now comfortably second in the table, hot on the heels of Celtic by just two points, and Hearts have completely unravelled following the loss of their strike partnership Steven Naismith and Kyle Lafferty. With the SPL now 13 matches old, we’re well over a quarter way into the season and we have to say, despite (or because of) the fact Celtic are absolutely horrendous with two losses and two draws of their own in the league, we’re far, far closer to them than we ever believed possible at this stage. Of course, there’s a heck of a long way to go, but this is significantly the closest we’ve been to Celtic at this stage of the season since promotion in 2016. Warburton’s Rangers were already 8 points behind after 13 fixtures, while Pedro’s side did a bit better in being four behind. But this is two. A win over Celtic from being top of the table for the first time since 2011. Of course, there’s a tonne of hurdles to negotiate to get there next month. While Hearts are a mess we shall not underestimate them on their own patch this weekend, and of course we really have the make-or-break period of the season coming up with two matches against Hibs, a tough trip to McDiarmid, and of course the small matter of Celtic themselves. We cannot assume Rangers are going to pick up wins against the absolute split-level difficulty of Aberdeen, Hibs, Hearts, Celtic and St Johnstone next month – but the fact is Rangers’ destiny is now in our own hands. With Hearts falling away, Rangers stand alone in second, and an out-of-sorts Celtic appear to be permanently on the decline. Their imperious 2016/2017 was certainly not emulated last season, and this season they’ve declined further – of course, we are well aware they will raise their game when they come to Ibrox on the 29th. They will be as tough as always, but there is just that nagging feeling right now that as they falter, Rangers are rising. Both processes are very slow, in truth – Rangers have been incrementally getting better for six seasons, and this season has only marginally improved upon last, domestically speaking. But it’s taken full advantage of a weaker Celtic, and as Hearts’ own temporary challenge crumbled, Rangers pounced on that too. We’re by no means saying we’re going to win the league – miles to go and we wouldn’t even whisper anything in the region of that notion until we’ve at least beaten Celtic, which is quite simply the litmus test for any Rangers manager. So, no, we’re not going there. But we’ll say this – get through December with minimal damage and manage the mammoth task of finally beating our Old Firm rivals inside 90 minutes for the first time in well over half a decade, and we can start to actually look at the idea of mounting a more serious challenge. And after we lost at Livi, who on earth even dared to dream of discussing such things? We're closer than I expected us to be at this point, but I don't think we should get too carried away; until we can beat them in a game of football we can forget about it. I will settle for looking down on the others come Hogmanay - what a Happy New Year that will be. Rangers have a great way of making you feel secure, with a few safe wins and then going to pieces, against bigger teams. I felt like last season, they were beat before they even stepped on the pitch. So this season, is fair progress. We must keep our feet on the ground. Realistically, we are not going to win the league. BUT, that said, a win against Celtic at least once, this season, would be a massive morale boost. We need to be on the front foot and pushing people into the box when crosses go in. When Morelos gets the right service, he can score. Lafferty better get his head right. We need a bit of flair creativity and a bit bravery. One game at a time, is right. We have to put Aberdeen, Hibs and Hearts, back in their box, this season. Celtic, we just have to go for it and do our best. NOT, fall to pieces, as we've seen too many times before. It's a work in progress. Onwards!